Happy New Year! Before we get too far into 2019, check out our must-read list of papers relevant to the circuit neuroscience community published in December. See if there are any papers you may have missed in all the holiday hubbub. Cheers! 1. Stochastic synaptic plasticity underlying compulsion in a model of addiction by Vincent Pascoli, Agnès Hiver, Ruud Van Zessen, Michaël Loureiro, Ridouane Achargui, Masaya Harada, Jérôme Flakowski & Christian Lüscher. Nature. What circuits drive addictive behaviors? They identified the synaptic strengthening of orbitofrontal cortex–> dorsal striatum projections as a neural mechanism that underlies compulsion. Decreasing the activity of this circuit allowed compulsive mice to regain control, and conversely, stimulating the connection drove a mouse that initially remained in control to become addicted. 2. Identifying the pathways required for coping behaviours associated with sustained pain by Tianwen Huang, Shing-Hong Lin, Nathalie M. Malewicz, Yan Zhang, Ying Zhang, Martyn Goulding, Robert H. LaMotte & Qiufu Ma. Nature. What are the neural circuits that drive reflexive and coping responses to pain? They reveal a fundamental subdivision within the cutaneous somatosensory system that consists of separate pathways for driving reflexive defensive versus coping responses. 3. Tau impairs neural circuits, dominating amyloid-β effects, in Alzheimer models in vivo by Marc Aurel Busche, Susanne Wegmann, Simon Dujardin, Caitlin Commins, Julia Schiantarelli, Naomi Klickstein, Tarun V. Kamath, George A. Carlson, Israel Nelken & Bradley T. Hyman. Nature Neuroscience. They reveal that the two major proteins involved in Alzheimer’s disease have dramatically opposing effects on the activity of neuronal circuits in vivo. Aβ alone causes hyperactivity, whereas tau alone suppresses activity and promotes silencing of many neurons. by Felix Leroy, Jung Park, Arun Asok, David H. Brann, Torcato Meira, Lara M. Boyle, Eric W. Buss, Eric R. Kandel & Steven A. Siegelbaum. Nature. They show that dCA2 pyramidal neurons are required both for social memory and to promote social aggression. dCA2 promotes aggression through its output to dorsal lateral septum, which activates a circuit that disinhibits the ventrolateral subnucleus of the ventromedial hypothalamus, which has been implicated in aggression. They provide a link, at both the behavioral and circuit levels, that connects the hippocampus with the control of a motivated behavior and its hypothalamic trigger. 5. Locus coeruleus activation enhances thalamic feature selectivity via norepinephrine regulation of intrathalamic circuit dynamics by Charles Rodenkirch, Yang Liu, Brian J. Schriver & Qi Wang. Nature Neuroscience. Through direct activation of the LC–NE system, they found that elevated LC–NE activity causes a dramatic increase in thalamic feature selectivity and improvement in information transmission. 6. 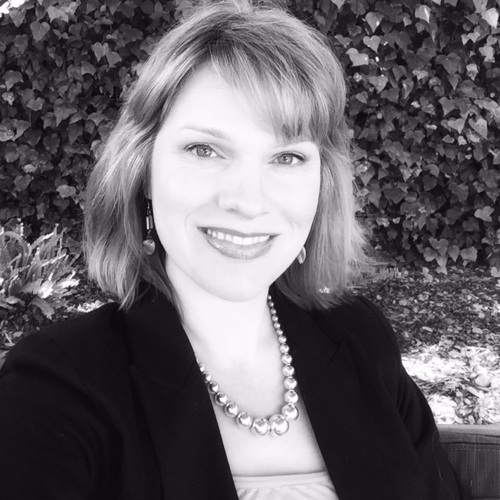 Methotrexate Chemotherapy Induces Persistent Tri-glial Dysregulation that Underlies Chemotherapy-Related Cognitive Impairment by Erin M. Gibson, Surya Nagaraja, Alfonso Ocampo, Lydia T. Tam, Lauren S. Wood,Praveen N. Pallegar, Jacob J. Greene, Anna C. Geraghty,Andrea K. Goldstein, Lijun Ni, Pamelyn J. Woo, Ben A. Barres, Shane Liddelow, Hannes Vogel, Michelle Monje. Cell. 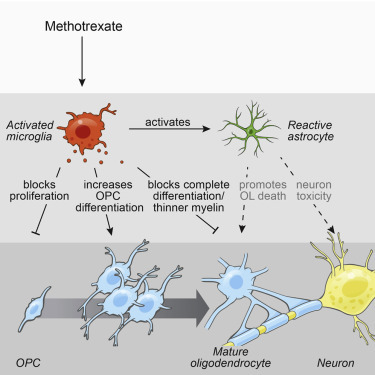 Microglial activation by methotrexate leads to a persistent disruption of oligodendrocyte lineage dynamics and astrocyte reactivity, resulting in the long-term cognitive impairment associated with chemotherapy. 7. Tac1-Expressing Neurons in the Periaqueductal Gray Facilitate the Itch-Scratching Cycle via Descending Regulation by Zheng-Run Gao,Wen-Zhen Chen,Ming-Zhe Liu,Xiao-Jun Chen,Li Wan,Xin-Yan Zhang,Lei Yuan,Jun-Kai Lin,Meng Wang,Li Zhou,Xiao-Hong Xu,Yan-Gang Sun. Neuron. Gao et al. demonstrate that Tac1-expressing neurons in the lateral and ventrolateral periaqueductal gray modulate spinal itch processing via a descending pathway. 8. A Dendritic Substrate for the Cholinergic Control of Neocortical Output Neurons by Stephen R. Williams,Lee N. Fletcher. Neuron. Williams and Fletcher demonstrate that the cholinergic system directly controls the electrical excitability of the dendrites of neocortical principal neurons, through the modulation of calcium channels, to powerfully enhance behaviorally relevant associative computations. 9. Fractionating Blunted Reward Processing Characteristic of Anhedonia by Over-Activating Primate Subgenual Anterior Cingulate Cortex by Laith Alexander,Philip L.R. Gaskin,Stephen J. Sawiak,Tim D. Fryer,Young T. Hong,Gemma J. Cockcroft,Hannah F. Clarke,Angela C. Roberts. Neuron. Using intracerebral microinfusions in marmosets, Alexander et al. demonstrate a causal role for subgenual anterior cingulate cortex (sgACC/25) over-activity in specific aspects of impaired reward processing associated with anhedonia. Ketamine successfully ameliorates related impairments by modulating activity within a dysfunctional neural circuit involved in reward processing and interoception. 10. 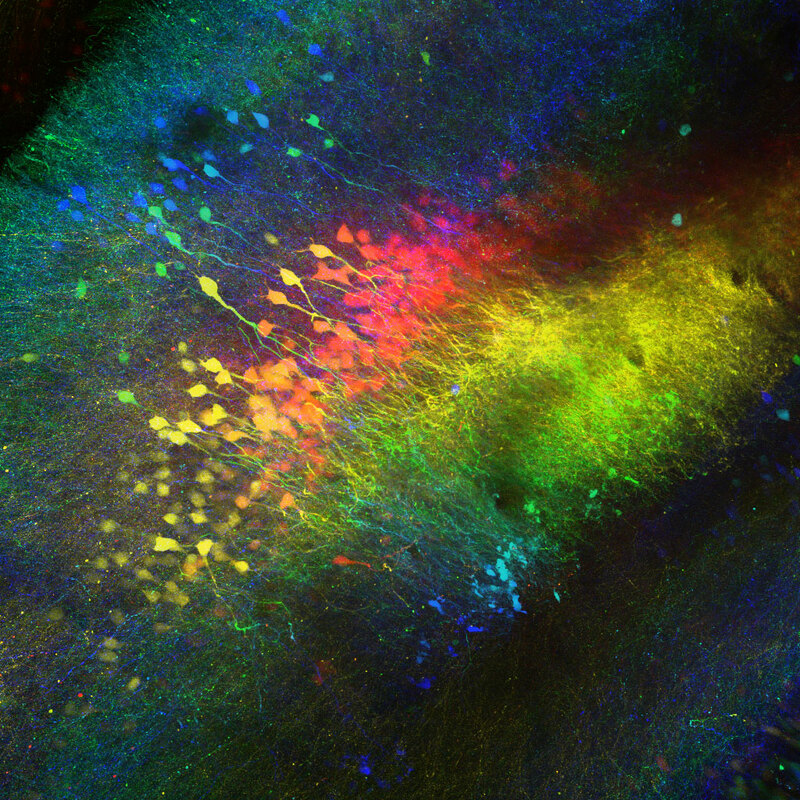 Calretinin Neurons in the Midline Thalamus Modulate Starvation-Induced Arousal by Ruifang Hua, Xu Wang, Xinfeng Chen, Pengcheng Li, Wei Mei, Haohong Li. Current Biology. Although sleep deprivation promotes feeding and starvation suppresses sleep, the underlying neural mechanisms remain largely unknown. 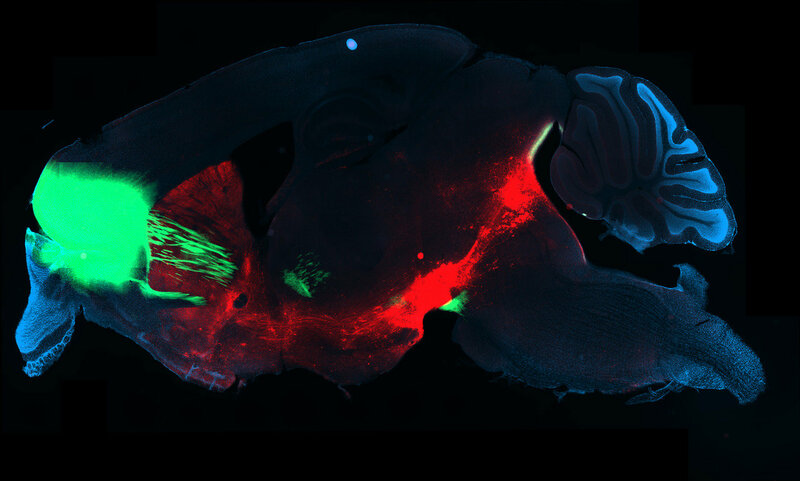 Here, they showed that starvation in mice potently promoted arousal and activated calretinin neurons (CR+) in the paraventricular thalamus (PVT). Direct activation of PVT CR+ neurons promoted arousal, and their activity was necessary for starvation-induced sleep suppression. Specifically, the PVT CR+-bed nucleus of the stria terminalis (BNST) circuit rapidly initiated arousal. Selective inhibition of BNST-projecting PVT neurons opposed arousal during starvation. 11. Attention enhances the efficacy of communication in V1 local circuits by Jacqueline R. Hembrook-Short, Vanessa L. Mock, W. Martin Usrey and Farran Briggs. Journal of Neuroscience. The rules that govern whether and how attention alters neuronal activity are not known. Here they explored whether attention regulates communication between connected pairs of neurons in the primary visual cortex. They observed robust attentional facilitation of communication among these circuits. The extent to which the circuits were facilitated by attention depended on whether the information they conveyed was relevant for the particular attention task. 12. Activity of Prefrontal Neurons Predict Future Choices during Gambling by Johannes Passecker, Nace Mikus, Hugo Malagon-Vina, Gordon Fishell, Georg Dorffner, Thomas Klausberger. Neuron. They trained rats to perform a two-arm bandit-task, successfully adjusting choices between certain-small or possible-big rewards with changing long-term advantages. They discovered specialized prefrontal neurons, whose firing during the encounter of no-reward predicted the subsequent choice of animals, even for unlikely or uncertain decisions and several seconds before choice execution. Optogenetic silencing of the prelimbic cortex exclusively timed to encounters of no reward, provoked animals to excessive gambling for large rewards. Firing of prefrontal neurons during outcome evaluation signals subsequent choices during gambling and is essential for dynamically adjusting decisions based on internal valuations. They performed in vivo Ca2+ imaging of ventral tegmental area (VTA) Gabaergic (Vgat) neurons using nVista and showed their activity with vigilance indicating VTA Vgat neurons are wake-active.